What is remarkable about this is that a retired engineer with access to the Internet has been able to make accurate predictions of future climate. 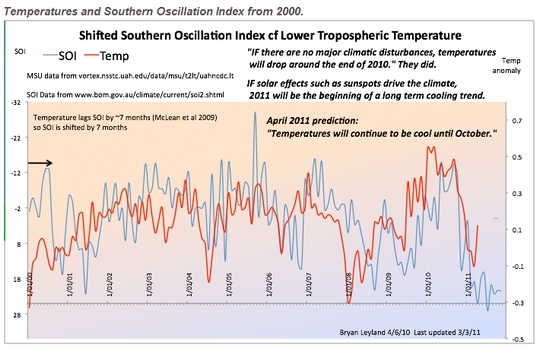 Yet, to my knowledge, no computer-based climate model nor any mainstream “climate scientist” predicted this cooling. To me, this is truly remarkable.